Here’s an interesting variation of the original french press design…instead of a single metal mesh filter, it basically adds a second filter. 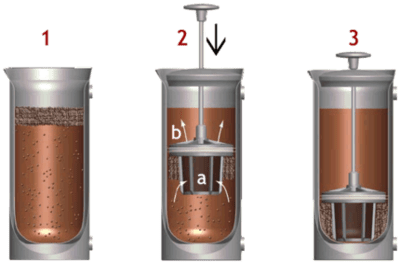 This allows for the filtering of more of the fine particles that conventional french press filters let through (as such a fine mesh filter would get clogged up filtering out the larger coffee grounds). 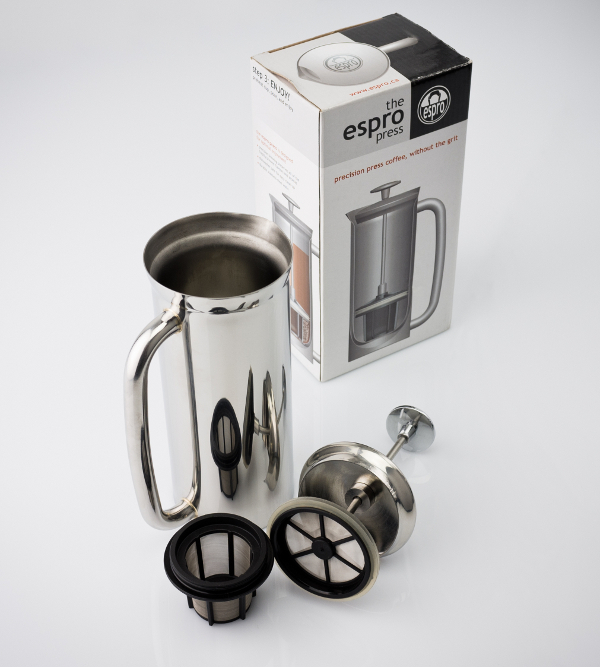 It’s far from cheap, selling for $70 at Amazon, but does look like a definite improvement for those people hooked on french press style coffee in the mornings.